Good choice! Visit one of our retail stores to get started with your new Einhell product! Find your nearest dealer with our shop locator search. Have your new Einhell product delivered directly to your doorstep! Here you can order online. Group 9 Created with Sketch. ? Do you have questions about the article? The Einhell GE-PP 1100 N-A submersible pressure pump with automatic function switches on the equipment automatically when water is requested and then off again. The pump provides the necessary pressure for transferring clean water from a rainwater cistern, reservoir, shaft or garden well to where you want it. Even a delivery height of up to 45 meters is no problem for this pump. At a maximum immersion depth of 12 meters it works with 1,100 watts in continuous mode and can be put to flexible use in gardens and outdoor areas thanks to a 15 meter power cable. The maximum delivery rate is 6,000 liters per hour. This submersible pressure pump make a solid impression, and not only on the outside – it has a particularly rugged design and important safety features. For example, a 4-stage impeller system generates extra high delivery pressure. The housing is made of rust-proof stainless steel and the pressure connector comes with a stainless steel insert. A high-quality mechanical seal forms the basis for a long service life. The 33.3 mm hose connection (1” female thread) is easily accessible on the top of the pump. An integrated dry running protection and an overload switch protect the pump from damage should the water supply be interrupted. Facts, figures and information for Submersible pressure pump GE-PP 1100 N-A: here you will find detailed technical data, as well as specific information on dimensions, weight and packaging of this Einhell product. Everything at a glance: contact our service centre, download product information and get an overview of our extensive guarantees. We are here to answer any questions you may have about your Einhell product - whether it is before, during or after your purchase. 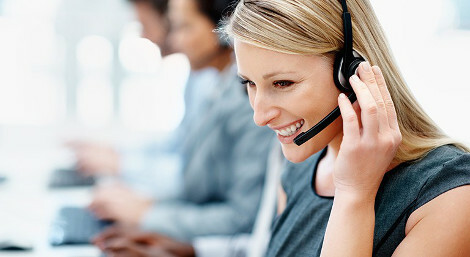 You can contact the Einhell Customer Service directly. We take care of your requests for product information, spare parts, repairs and maintenance. Quick, simple and satisfying! You will find here operating instructions and data sheets for Submersible pressure pump GE-PP 1100 N-A. Not able to find operating instructions for your Einhell tool? No worries: all our manuals and documents are also available online - it takes just a mouse click to download them. 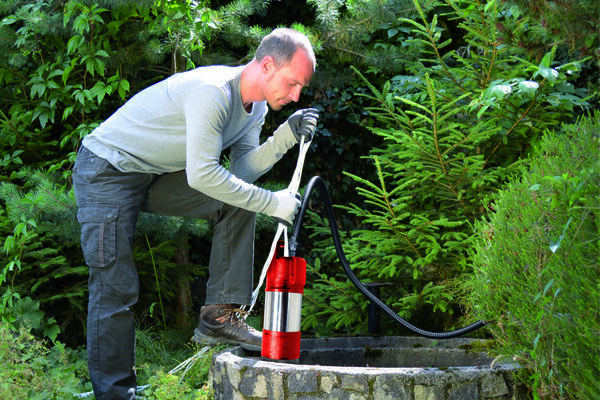 The Einhell satisfaction guarantee: buy and test without any risk! We are convinced of the quality of our products - that is why we are able to offer you a 30-day money-back guarantee. No ifs and buts! Extend the guarantee period of your Einhell tool or Power X-Change battery - it is simple and free! To extend the warranty on your new Einhell product, you only need to register online within 30 days of purchase. Register now easily, quickly and for free, and enjoy a full 36-month warranty on your Einhell device or 24-month warranty on your Power X-Change battery. Print out your warranty certificate today! Are you looking for spare parts or a suitable accessory for Submersible pressure pump GE-PP 1100 N-A? Our service partner iSC offers an extensive range of spare parts and accessories both for current and older Einhell products. Visit the Einhell Service Shop now and find the parts you are looking for. Authentic. No fake reviews: real voices of customers and opinions on your Einhell tool Submersible pressure pump GE-PP 1100 N-A. Guten Tag, Ich brauche f&uuml;r Bew&auml;sserung eine Tauchpumpe, welch ich f&uuml;r Sprinkler einsetzen m&ouml;chte. Sprinkler ben&ouml;tigt min. 3 Bar Wasserdruck. Wie viel Bar hat der Tauchpumpe ? Ist er geeignet f&uuml;r Sprinkler ? vielen Dank f&uuml;r Ihre Frage. Ja, diese Tauchdruckpumpe ist daf&uuml;r geeignet und bringt max. einen Druck von 4,5 bar auf. Gibt es eine Pumpendruckkurve f&uuml;r die GE-PP 1100 N-A ? (eine solche ist n&auml;mlich im Download bzw. Anleitung nicht zu finden, ist aber ganz wesentlich f&uuml;r die Anwendung). Konkret: welcher Druck ist bei 4000 l/h zu erreichen ? vielen Dank f&uuml;r Ihre Frage zu unserer Tauchdruckpumpe. F&uuml;r etwaige Fragen, Informationen oder Anregungen k&ouml;nnen Sie uns gerne unter online-rezensionen@einhell.de mit Ihrer pers&ouml;nlichen Vorgangsnummer 06941519 kontaktieren. Telefonisch erreichen Sie uns unter 09951 9592000. Looking down inside the connection hose i can see that the valve inside the hose is a little bit out centered . Is it like this in all pumps or it has a construction issue ? please send us a photo so that we can check this. Kann die Pumpe dauerhaft im Wasser verbleiben? Unsere GE-PP 1100 N-A Tauchdruckpumpe kann zwar dauerhaft im Wasser verbleiben, ist jedoch nicht f&uuml;r den Dauerbetrieb geeignet. Die zu erwartende Lebenszeit des Ger&auml;tes wird sich dadurch deutlich verk&uuml;rzen, da das Ger&auml;t nicht f&uuml;r eine andauernde Belastung konstruiert wurde. F&uuml;r etwaige R&uuml;ckfragen, Informationen oder Anregungen k&ouml;nnen Sie uns gerne unter online-rezensionen@einhell.de mit Ihrer pers&ouml;nlichen Vorgangsnummer 06999606 kontaktieren. Telefonisch erreichen Sie uns unter 09951 9592000. Ist dies Pumpe zum Betrieb eines Hochdruckreinigers geeignet? Unsere GE-PP 1100 N-A Tauchdruckpumpe ist zum Betreiben eines Hochdruckreinigers geeignet. F&uuml;r etwaige R&uuml;ckfragen, Informationen oder Anregungen k&ouml;nnen Sie uns gerne unter online-rezensionen@einhell.de mit Ihrer pers&ouml;nlichen Vorgangsnummer 06991393 kontaktieren. Telefonisch erreichen Sie uns unter 09951 9592000. 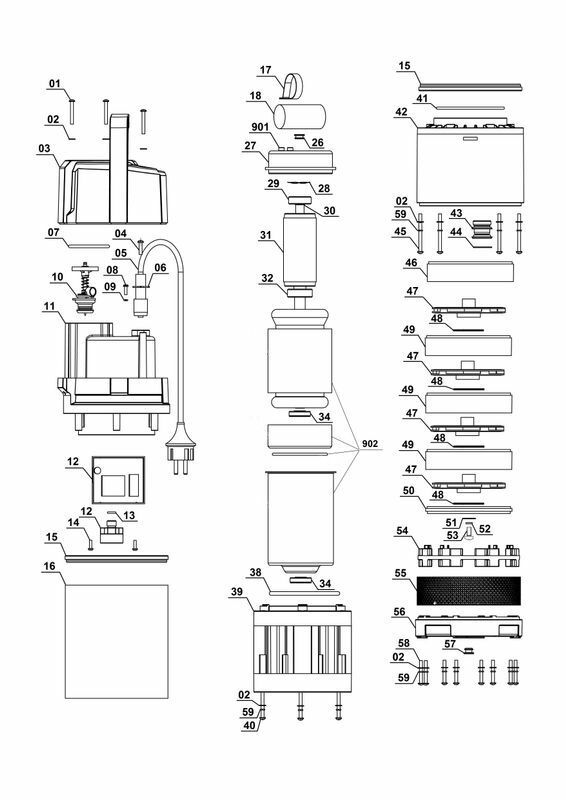 Do you have a flow chart for this GE-PP 1100 pump. We have sent you an E-Mail with the diagram. Guten Tag, die Pumpe soll in einem Rohr mit max. 19 cm Innendurchmesser eingesetzt werden. Frage wie viel cm Durchmesser hat die Pumpe an der breitesten Stelle? Kann ich die Pumpe verwenden, oder gibt es anderes Produkt mit integriertem Schalter? Unsere GE-PP 1100 N-A Tauchdruckpumpe hat eine Breite von 210 mm. Es ist daher leider nicht m&ouml;glich, diese in einem Rohr mit einem Durchmesser von 19 cm zu verwenden. F&uuml;r etwaige R&uuml;ckfragen, Informationen oder Anregungen k&ouml;nnen Sie uns gerne unter online-rezensionen@einhell.de mit Ihrer pers&ouml;nlichen Vorgangsnummer 06971489 kontaktieren. Telefonisch erreichen Sie uns unter 09951 9592000.
wie ist die Pumpendruckkurve? Was liefert sie noch in 40 metern, 35 metern, 30 Metern? Bis zu welcher St&auml;rke k&ouml;nnen Fremdk&ouml;rper sein? vielen Dank f&uuml;r Ihre Anfage. Wir setzen uns mit Ihnen pers&ouml;nlich in Verbindung.